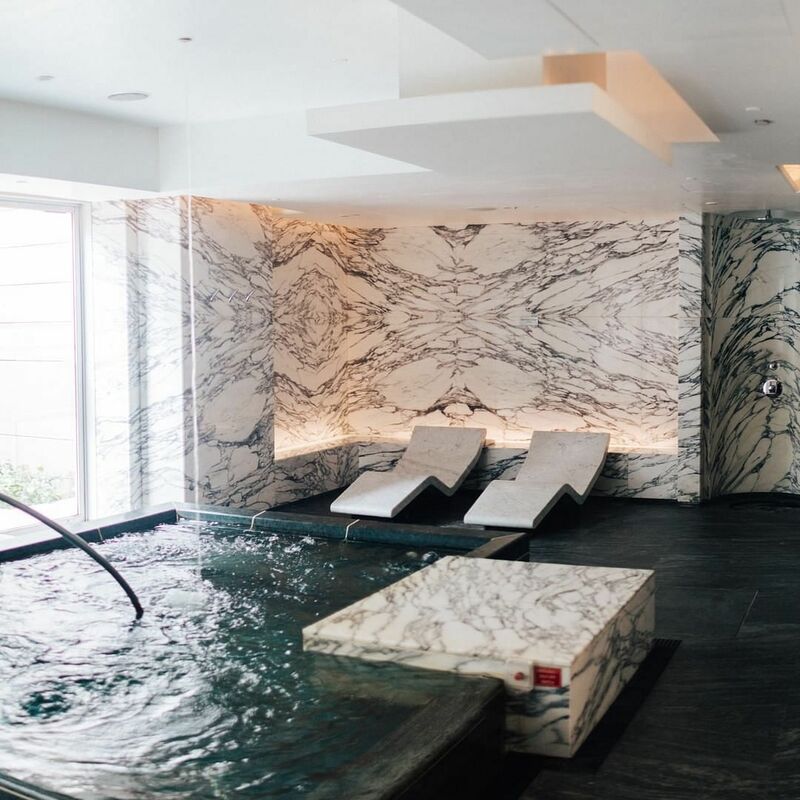 What could be better than an afternoon of next-level pampering at the expert hands of the therapists at The St. Regis Singapore’s Remède Spa? Devised to target aches and tension, this body ritual begins with a 90-minute Deep Tissue Sports Massage where the therapist performs a series of massage techniques using firm pressure to loosen knots from stiff muscles. An improvement in mobility and flexibility can be expected, along with a sense of wellbeing. Then, your man’s worn out legs and feet will be given a new lease of life as he enjoys a 60-minute Bastien’s Pedicure. The pinnacle of foot care, this treatment eliminates dry cuticles and rough calluses using high-tech tools like a dentist’s drill and scalpel while special massage techniques are also performed to alleviate water retention and improve foot health. 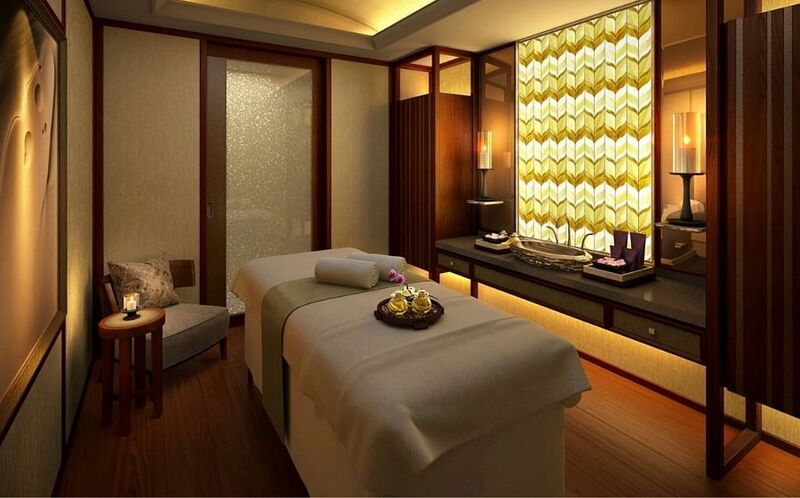 He will also have access to the spa’s facilities where he can continue his wellness experience. Finally, he can enjoy a delightful luncheon at LaBrezza, The St. Regis Singapore’s poolside restaurant, which serves fresh and authentic Italian cuisine. Referencing traditional healing therapies from ancient Asian cultures, this deeply pampering massage works not only to soothe aches but also to improve energy flow within the body so your man will emerge feeling recharged and reinvigorated. 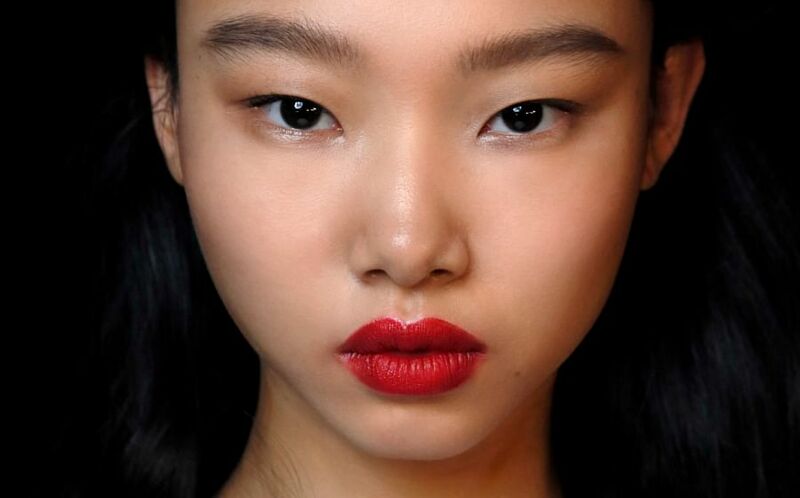 Using a luxurious body balm that’s rich in skincare ingredients to nourish and firm skin, the therapist performs Javanese massage steps which focuses on knuckle and thumb pressure to loosen tight and tense muscles. In addition, warm moon stones are also used to help warm up the muscles for an optimal results. If your man travels often for work, book him a session of this invigorating massage at The Ritz-Carlton. 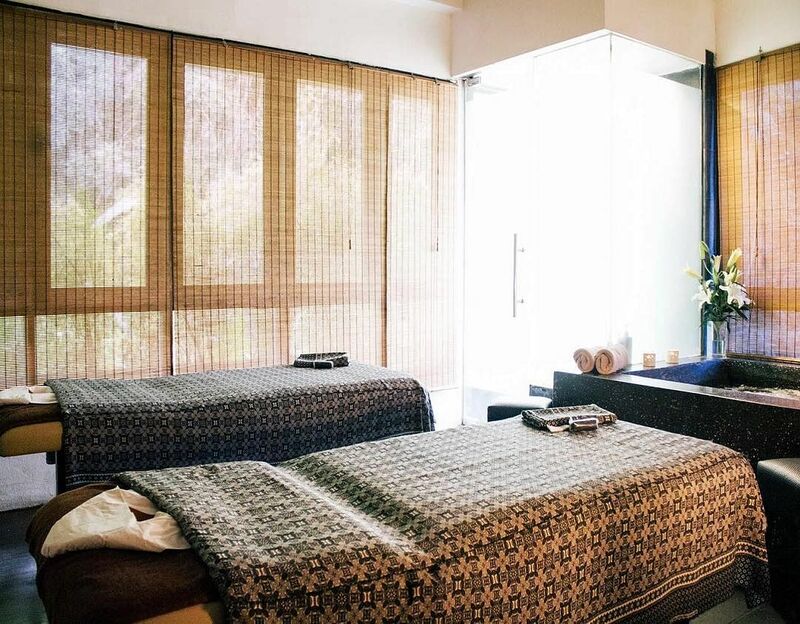 Specially designed to combine stretching techniques with Ayurvedic healing philosophy, this massage helps reset out-of-sync bodies and restore serenity to frazzled minds. Tense muscles and water retention are also targeted with the use of bamboo sticks to “roll” and “knead” away aches so he feels recharged and revitalised. 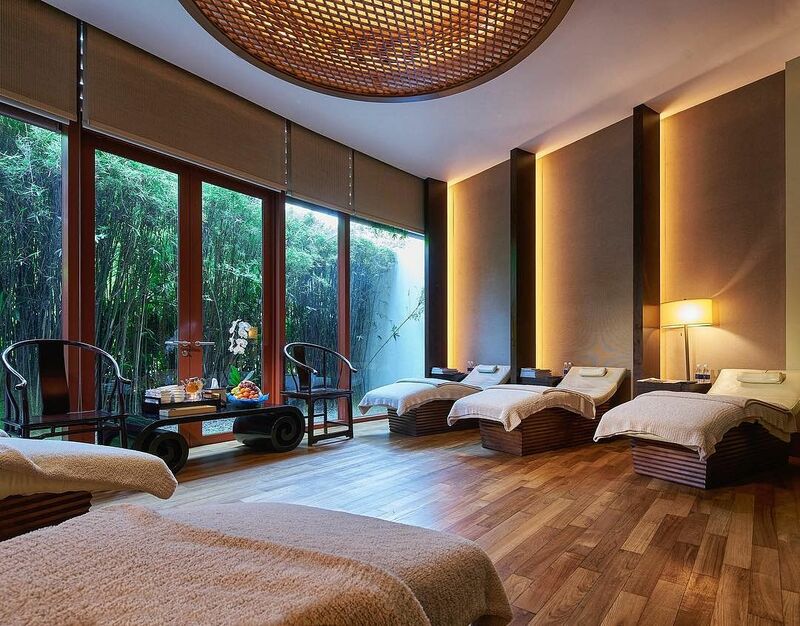 Set amongst lush greenery, So Spa at Sofitel Singapore Sentosa is the ideal place for a spa day out for nature lovers. 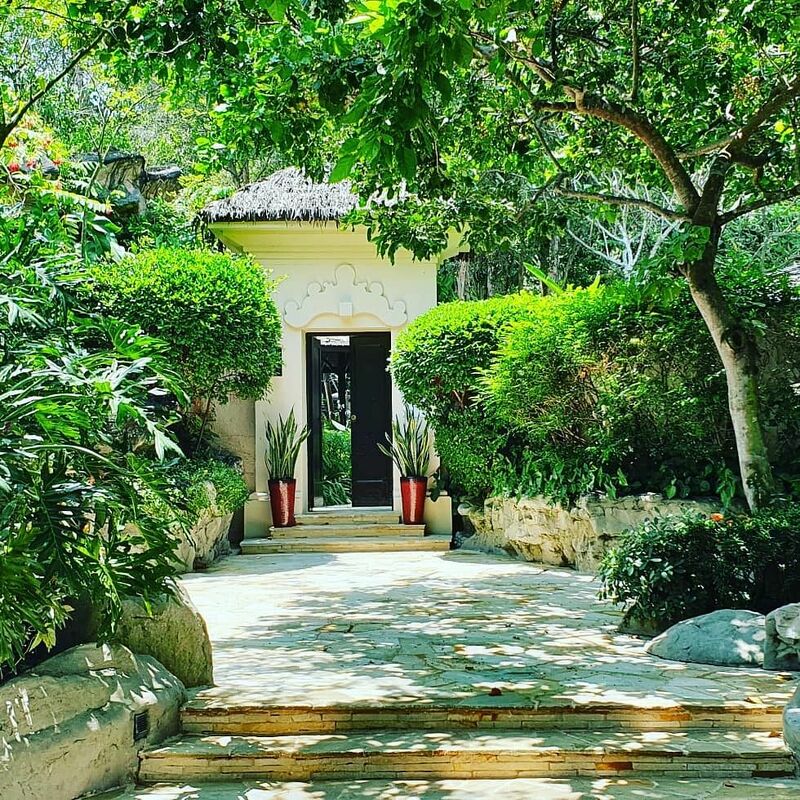 Surrounded by trees and birds, it’s not uncommon for guests to be greeted with the sounds of birds chirping while enjoying a massage. Opt for the Thai Massage, which is an all-encompassing treatment that works on the entire body to realign your body, release built-up tension and improve circulation. Go back to nature as this device-free treatment draws from age-old rituals including traditional Thai massage, assisted yoga stretches, Ayurvedic principles and acupressure techniques. Performed without the use of massage oil, the therapist uses palm and forearm kneading techniques to work out aches and tension as well as guide him through easy-to-achieve yoga-inspired poses that will deeply and effectively stretch and loosen tight muscles. If your man just wants a good massage without the extra facilities offered by luxury spas, look no further than Lush Spa. 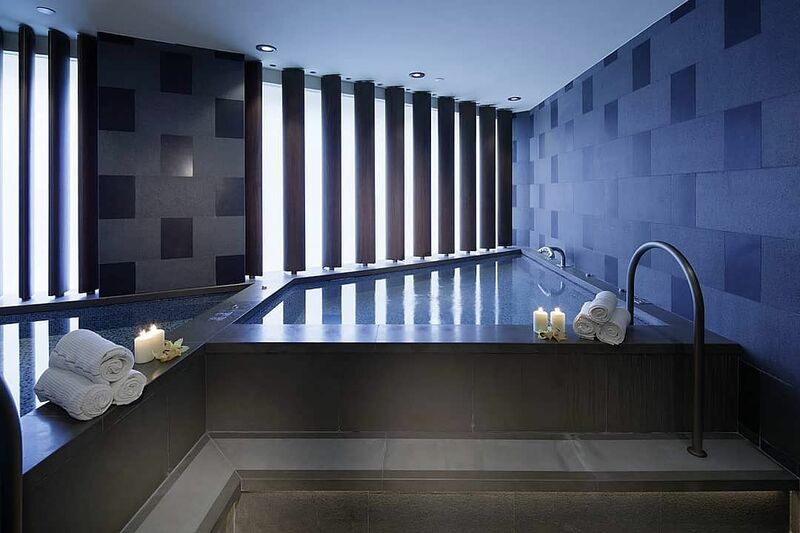 Tucked within the Singapore Polo Club, the spa is a great place to unwind and relax, thanks to its tranquil surroundings. Book the Lush Essentials, a fully customisable massage which promotes deep relaxation and improves sleep quality. Depending on each individual’s needs and preferences, the expertly skilled therapist will personalise a series of massage techniques that range from medium to firm pressure to relieve fatigue and soothe tension. The spa also has a wide range of specially blended massage oils that guests can choose from to further complement the benefits of the massage – guaranteed to give your man a good night’s rest.